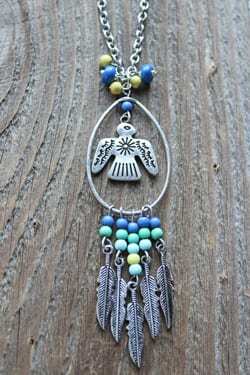 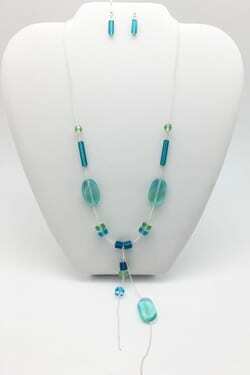 Make it a Turquoise set with matching earrings. 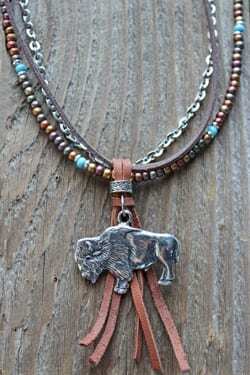 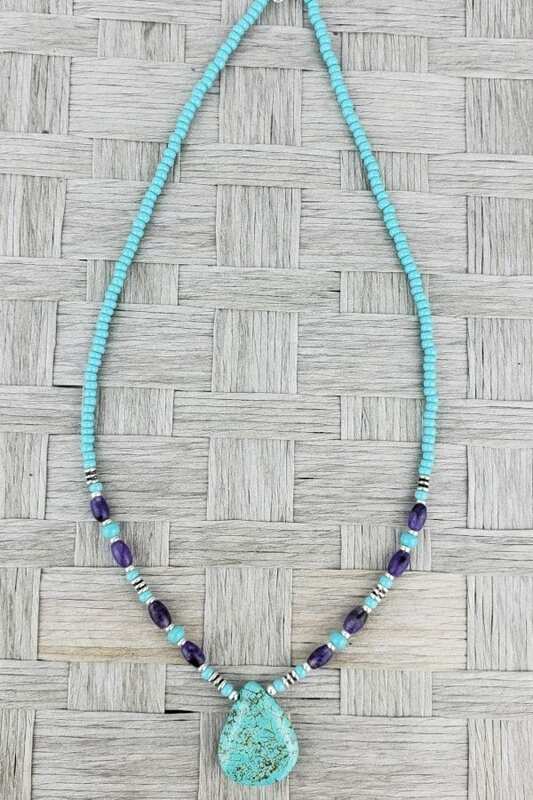 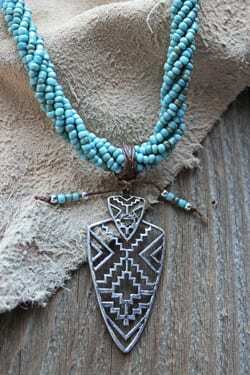 A Turquoise beaded necklace. 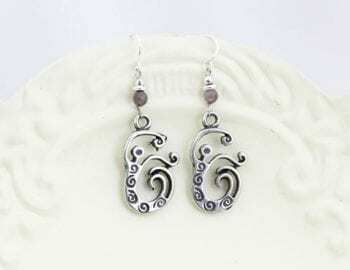 Adorned by splashes of silver and purple beads. 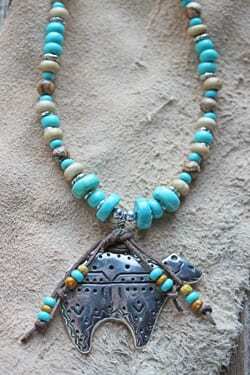 Finished with a Turquoise gem pendant.